Were you to ask the average user how many apps he thinks Microsoft has for Android, he'd probably stare at you in disbelief of the silly question, or spurt a random number between one or ten. Even the most optimistic among us will probably have a hard time wrapping their mind around the fact that Microsoft is actually... a pretty big Android developer. In fact, according to our napkin math, the Redmond-based giant is behind some 80 different apps. That's like... a ton of apps. And sure, not all of them were developed by Microsoft from the ground up, but they've nevertheless ended up under its umbrella — with the likes of Wunderlist and Sunrise Calendar being popular acquisitions. 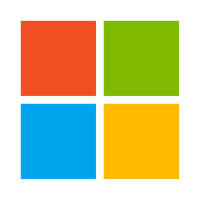 So with so many apps under its belt, it was probably inevitable that the day would come when Microsoft would make a move to somehow consolidate its efforts and present users with a sort of hub for Microsoft-only apps. 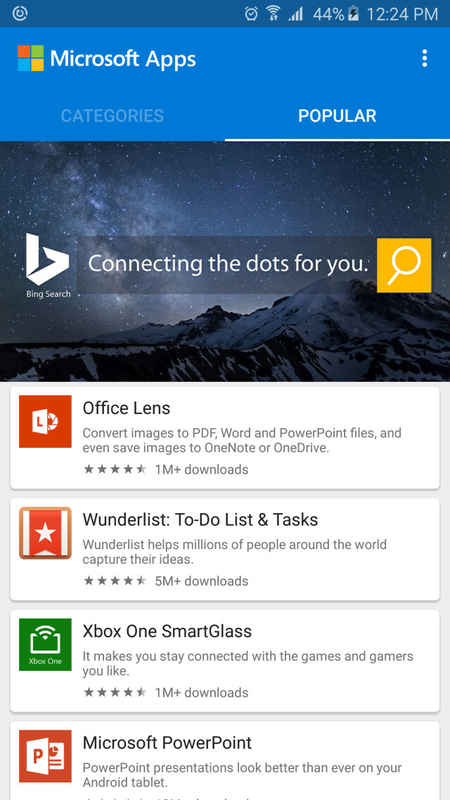 Turns out, the Microsoft Apps app is exactly that: a (free) Microsoft app to find other Microsoft apps... on Android. 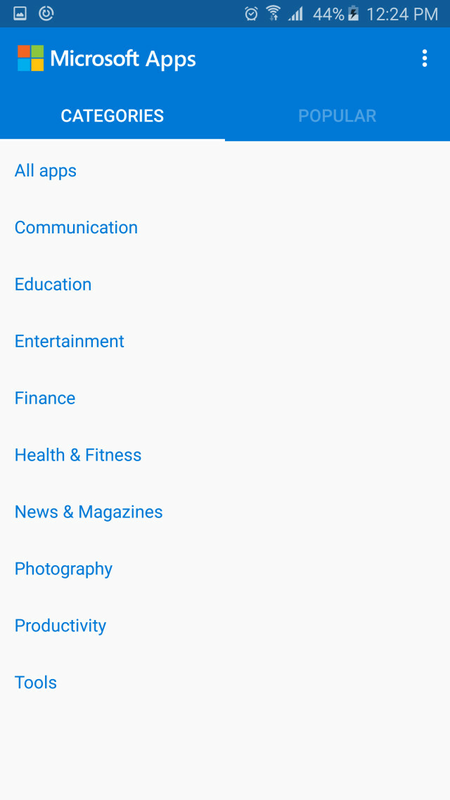 The (Microsoft Apps) app has a pretty simplistic, Material design-beholden UI, with just two tabs: Popular and Categories. This hardly needs further clarification, but here goes: the former highlights the best, while the latter lets you dig out older titles that nobody really uses anymore. 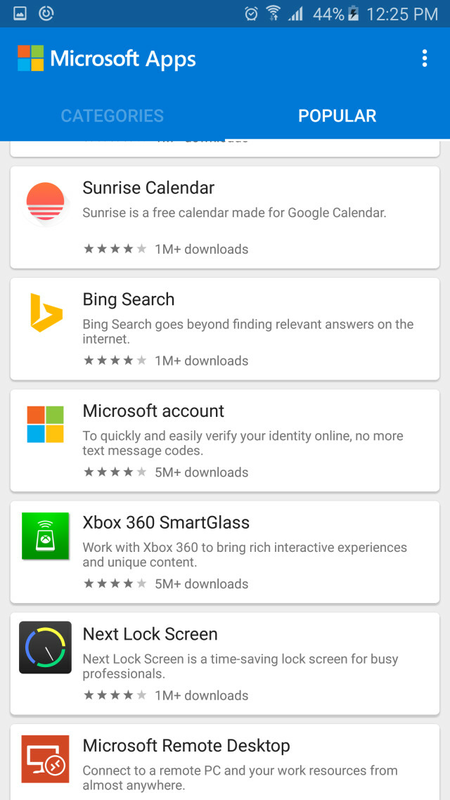 Tapping on any title will transport you to the Play Store for an easy download. And that's about as much as there is to know about the app. Download link in the source below. You must be using one of them Chinese windows tablets. Still a Chinese brand of inferior quality. You need the latest Surface to see just how optimized Windows OS is for tablet form factors. Lenovo is only somewhat known for their desktops and tablets. I have a surface pro 3 i7 and i can confirm the store can be slow, especially when trying to update apps. I feel like the store is in beta stagte sometimes. But everything else is fast. Its no worse than the store on iOS. iOS App Store takes forever to load even on my HP which is also an i7 (8 cores) and I have 16GB of RAM and I am using a 1TB SSD from Samsung. Server side applications are never going to be fast no matter the platform. Even in-house one on a local intranet aren't fast either. When you consider billions of people tentatively are accessing data on these servers, you can expect it to be slow. Some people just like to complain about everything. NOTHING is ever instantaneous. windows store is very slow. It take ages for applications to update. Please dont make stories, I am using google play on my phone and I have used app store on ios. Both are blazing fast as compared to windows. Some people just like to make stories about everything. Nothing is ever slow like windows store. Seriously????????? Wonder what's ur opinion on other platforms! Others too have said the same thing about iOS:http://www.cnet.com/news/some-iphone-users-say-ios-9-has-slowed-down-their-phones/ So you meant "long live trolling" right? Windows isn't pathetic. It runs way smoother than any other OS out there. You probably got a defective unit. I dont know, but my experience with previous tablet was the same. However, it was a cheap chinese tablet. Now I bring 10inch yoga 2 tablet with blue tooth keyboard. It is a very beautiful and ergonomic tablet. But the user experience is same, slow in everything. Internet works slow, shutting down and restarting is slow. downloading apps from windows store is very slow. May be, I am used to with android and may be this is the reason windows feel very slow on touch devices to me. You got a defective unit, even my lynx tablet runs smooth with windows 10. You probably have some sort of crap running in background as well. You probably have set to best quality and not best performance. I would say in 30mins a normal pc tech could get it running pretty slick. You are using it wrong! "Yo dawg, I heard you like MS Apps, so I put MS Apps on a MS App so you can look at MS Apps while you look at a MS App dawg"
For fun I disabled every google app with a Microsoft equivalent and slapped on Microsoft Arrow launcher and Picturesque lock screen, all this on a Moto G (2013) NOT BAD! If a phone I bought had it as a skin I probably wouldn't change it. I'd take it over Sammy's app equivalents and launcher ANY DAY! At least there'll be no bloat right? ?